In the aftermath of Christmas and New Year festivities comes an antidote to rich and heavy fare that is as refreshing and fragrant as a mountain breeze through a May orchard in full blossom — it is called Torrontés. 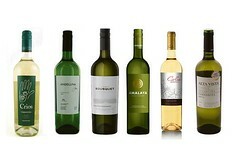 Unique to Argentina, Torrontés is that country’s emblematic white wine. Descended from the grapey aromatic Muscat of Alexandria varietal and the local Argentine Criolla Chica, Torrontés is fragrant with white flowers and a peach and mango fruity character complemented by a little spice, not unlike Viognier. Most vineyards are well over 600m above sea level. Some reach 2,000m in the northern province of Salta near the town of Cafayate, the highest commercial vineyards in the world. 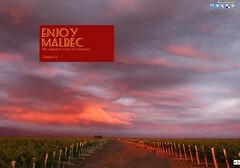 These high-altitude vineyards produce wines with a purity and concentration of refreshing cool climate character, despite being located near the Equator. Farther south, in the satellite wine regions of Mendoza city, Tupungato is recognised as producing top quality wines while the Uco Valley’s high-altitude vineyards account for fresher and crisper acidity. San Juan is hotter and drier than Mendoza and is gaining a reputation for some of the country’s finest Shiraz.